If you are someone that enjoys going out on fishing trips, you probably appreciate a good dependable kayak like the Old Town Vapor 10 model. However, you are not sure whether it will be the right kayak for you. Thankfully, our Old Town Vapor Kayak review is here to help you out in your quest. And, if you consider yourself to be a beginner, this is probably one of the best kayaks to start off with. Old Town is a company with an incredible history of providing the customers with top-notch kayaks and canoes. After all, they have been around for well over a century. To be precise, Old Town began crafting boats way back in 1898. And, this time, they gave us a newer model that is perfect for those who are not quite confident in their kayaking skills. 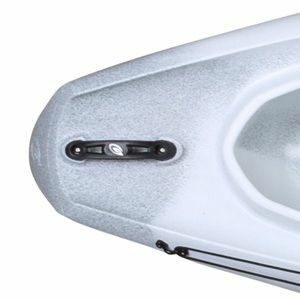 Bear with us, this is probably the last Old Town Vapor Kayak review you will have to read before make your decision. This kayak weights in at 49 pounds and it is 10 feet long and 16.75 inches tall. That means that you can make yourself comfortable even if you are well over 6 feet tall. It can carry up to 325 pounds of weight in it as well. So bringing along your portable fridge will never be an issue. The actual cockpit is 48 inches long and 19.5 inches wide. This kayak was designed to help out those who are insecure about trying out kayak fishing. This fishing boat is very stable, comfortable, and versatile. The design makes it very lightweight and easy to maneuver around the lake. And we would also like to mention the carry handles on the kayak that really do a lot when it comes to carrying it around. The open top of this kayak also helps beginners avoid the feeling of claustrophobia as they get in. The precise engineering that went into the design of the hull helps it glide over water with no effort at all. However, you won’t notice how perfect the shape is until you start making relatively sharp turns. You will be able to quickly turn this craft on your first day of kayaking thanks to this design. Overall, this craft was designed for flat water rivers and lakes. However, it can reasonably handle harsher weather and choppy water. Just don’t try to take it to the rapids, and you should be fine. Anyhow, safety is the most important thing during kayaking. One thing you will love about this kayak is how comfortable it is. And, believe us, comfort is one of the most important aspects of a kayak. After all, you really don’t want to end up hating your own backside after a couple of hours. The open-top of the cockpit tray makes it incredibly easy to jump in to or get out of in turn. It even has a cup holder and a tray for you to enjoy your lunch out on the water. However, what we really want to talk about here is the flex seat. This craft is one of the rare kayaks that have seats made out of memory foam and other materials that will adjust to the shape of your body. Once you get in this kayak, you will probably not want to ever get out of it. The Comfort Flex seat is also easily adjustable. All you have to do to enhance your comfort is to pull the cord gripper. So, an incredibly comfortable seat with memory foam technology that is easily adjusted - can it get better than that? Of course, it can. The Vapor 10 also offers adjustable foot braces and thigh pads with just right amounts of padding. Once you adjust your foot braces to the perfect position, the Glide Track technology will keep your legs in the ideal position. The fact that this kayak is really stable also means that you can safely take your legs out and rest them on top of it. The only flaw we could find when it comes to comfort is that the cup holder is just a bit further away than we would like it to be. Since this kayak is comfortable enough to remain in for the entire day, you might want to bring some things with you. So, of course, we had to test ours and see how many things we can comfortably fit in this kayak. And, we have to say, we were in for a surprise. There was enough storage room for a backpack with a change of clothes, a lunch box, our rain cover, safety equipment, extra fishing rods and bait boxes, a folding chair, and even a small radio. Some customers even report taking their dogs with them on the water with no difficulties. This raft consists of a single layer of polyethylene, and you can’t fold it. However, it is very lightweight and relatively short, making it decently easy to store. The hull is very durable and more than thick enough to take even the roughest of the riverbanks on the way out. The material of the hull also makes it rather easy to clean and maintain. This kayak will definitely last you for years to come if you choose to buy it. The materials and the shape also make it really easy to right after the unlikely case of capsizing. Old Town is a company that stands behind their products, however, as always, we read the details. And we have to say that the warranty is very impressive. They offer a lifetime of coverage for the hulls and decks of their watercrafts. The accessories, however, come with one year of warranty. Of course, exercise reason when it comes to warranty and read the fine print. 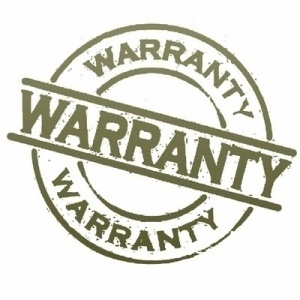 Remember, almost no warranty will ever cover damage that you cause yourself. Buying a new kayak can be incredibly fun. However, you should take note of several different factors before going into the purchase. Of course, if you have years of experience behind you, you don’t need us telling you how to choose a kayak. But, if you are new at this game, figuring out what to look for can be incredibly helpful. 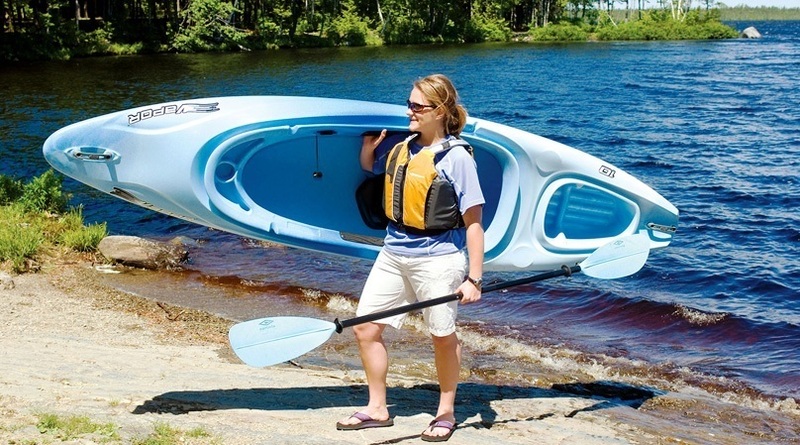 Of course, you want a beginner-friendly kayak that is stable and sturdy, but that is not all. You have to consider the type of water you will be kayaking in. Do you want to sit inside your kayak, or sit on top of it? You also have to think about how heavy the kayak is and what its dimensions are. By the way, if you are a female, we reckon you to check this kayak out. Don’t forget to measure in both your height and the size of the “baggage” you want to bring on board. All of those are questions you should have answers to before you take out your credit card. While most of those fall under personal preference, you don’t want to end up with a wrong kayak just because you forgot to figure things out in advance. Sit-in kayaks are better for those who are new to kayaking and don’t want to get wet. They are usually more comfortable, and you can easily kayak on cold days as well. Sit-on-top kayaks, on the other hand, are more comfortable to get on - even if you are trying to get in while in deep waters. So, if you plan on taking your kayak to the middle of a calm lake and going for a swim, they might be the superior option. Just remember, you will always get wet with a sit-on-top kayak. So, if you don’t think this through and get a sit-on-top kayak to go out on a cold river, you might end up regretting that purchase. Therefore, by reading through reviews on Best Kayak Brand will help you decide which kayak is suitable for your needs. In the end, as always, the decision remains up to you. 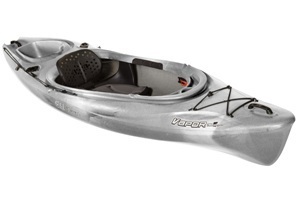 However, working on this Old Town Vapor kayak review and testing this kayak out really left us impressed. It is slick, easy to maneuver, and really durable. Our single favorite thing about this kayak is how comfortable it is. Not only is it really easy to get in (or out of) this kayak, but the adjustable seat and the thigh padding makes it one of the most comfortable kayaks we ever tested. And, while it did cost a bit more than other similar kayaks, the sheer quality of the build and the features it comes with easily justify the price. We definitely give this kayak a perfect 5-star rating.